This month, watch a wiener dog race, check out a building filled with 5,000 white balloons at Beakerhead or visit a hot air balloon festival in nearby High River. Summer’s almost over, but the good times aren’t going anywhere. This month, local theatre companies are launching new seasons, there’s tons of fall festivals and there’s still time to get in a few more outdoor activities before the colder weather hits. Here are our 25 suggestions for a busy September. Le Burger Week originally started as a burger festival in Montreal, but this year, 11 Canadian cities (including Calgary) will be taking part from September 1st to 7th. During the festival, hungry Calgarians can try special burger creations at participating eateries, then vote online for their favourites. There will be 21 Calgary eateries participating in Le Burger Week, including ONE18 Empire (serving a brisket burger), The Dog & Duck Pub and Restaurant (serving an ahi tuna poke burger), The Kitchen Table (serving a blue cheese stuffed prime rib burger) and Veg-In YYC (serving a double decker burger). Start September off with a belly full of southern style barbecue at the 25th annual BBQ on the Bow Festival. The event, which runs from September 2nd to 3rd at Montgomery Community Association in Shouldice Park, will feature a a barbecue competition for adults and children, food demonstrations, food trucks, a market, beer gardens and an area with activities for children. There will also be live music performances by bands and artists like Boogie Patrol, Darren Johnson, the Tim Buckley Trio and more. This weekend, five local restaurants are making the best of a city road closure. On September 3rd from 11 a.m. to 11 p.m., join Anju, Calcutta Cricket Club, Buttermilk Fine Waffles, Model Milk and Pigeonhole as they host an all-day Roadblock Party featuring live music, a pop-up retail market, drink deals and free snacks. All the restaurants are located on the north side of 17 Ave. S.W. and between 4 St. and 2 St. S.W. This fall marks Theatre Calgary’s 50th season, and they’re kicking it off with production that is sure to strike a chord with Calgarians. Written by Sharon Pollock and starring Stephen Hair, Blow Wind High Water is about three generations of Calgarians forced to deal with a flood that’s overtaking the city and what that means for their legacy. Blow Wind High Water runs from September 5 to 30. The Pianoscapes Project is the first event of this year’s Honens Festival, which returns from September 7th to 10th. To mark Canada’s 150th birthday, Honens arranged for six local artists (Karen Biko, Eveline Kolijn, Brianna Strong, Kristen Carleton and Kale Vandenbroek & Angela Smyth) to re-design the look of five donated pianos. At noon on September 7th, music lovers can check out the newly re-designed pianos at Stephen Avenue Walk, where pianists from the Honens Festival will come to play them. After the big reveal, the pianos will be placed at Arts Commons, the International Ave BRZ, the University of Calgary, the YYC Calgary International Airport and cSPACE King Edward. Circle the Wagons may be an annual food, beer and music carnival, but it also offers a lot more than just that. Yes, there will be more than a dozen food trucks, three bars and 22 musical artists like Humans and The Boom Booms performing on three stages. But there will also be a circus school teaching kids how to juggle and walk a tightrope, bubble soccer matches, an inflatable climbing wall and obstacle course, free yoga classes in the “Crystal Oasis” and wiener dog races. You won’t want to miss out on this event at Currie Park on September 9th, so get your tickets now. Calgary is at its quirkiest (and coolest) during the annual Beakerhead event, which returns from September 13th to 17th. This year, there are more than 60 science, arts or engineering related activities and exhibitions to choose from, including a six-storey escape room in the Central Library, a building filled with 5,000 white balloons and a fire show with a 168-foot long “serpent mother” at Fort Calgary. 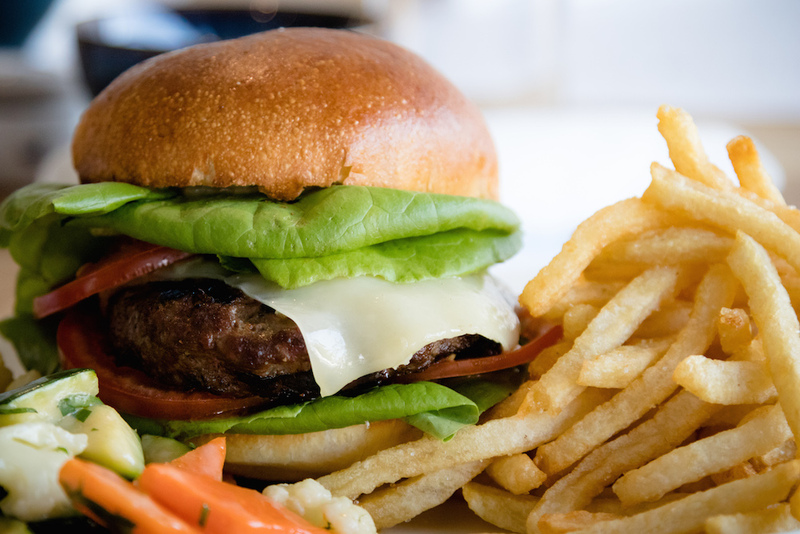 You can even try some special engineered eats and cocktails at around 25 local restaurants and bars, including The Coup, Avec Bistro, Burger 320, The Beltliner and more. From September 15 to 17, celebrate Market Collective’s ninth anniversary by heading down to its new venue in Inglewood to support local artisans, musicians and food trucks. The anniversary event will feature 150 artisans, making this the biggest MC event ever. Shop for jewellery from CoutuKitsch, pottery from Clay Creations Studio, candles from Good Folks Candle Co. and more. On September 17th, there will also be a bike scavenger hunt and free yoga and cycling classes. Calaway Park closes for the season before Halloween, so the local amusement park gets a head start on celebrating the spooky holiday with Halloweekends from September 9th to October 9th. The park, which is only open on weekends during that period, gets a Halloween makeover and offers $5 face painting, special activities and more. You can also show off your costume at the Boo Crew Costume Party on September 16th and 17th, which will feature a dance party, games and other activities. Weddings are expensive, so why not save some money on yours by buying your dress at the Pop-Up Consignment Shop’s Wedding Resale event. On September 16th, stop by Evergreen Community Spaces between 10 a.m. and 4 p.m. to shop the range of gently used dresses. The best part? All the dresses are $500 or less. You can also feel good knowing that proceeds from the sale will support the Women in Need Society. The event will also feature a silent auction and a market featuring local vendors. Five local artist studios in Ramsay and Inglewood are opening their spaces to the public as part of the annual East Side Studio Crawl. On September 16th from 11 a.m. to 5 p.m., walk from studio to studio to check out the workspaces and work of artists, printmakers, painters, jewellery makers and more for free. 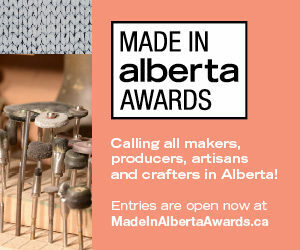 This year, participating studios include the Burns Visual Arts Society, Jeff DeBoer Studio, Heritage Weavers & Spinners, Artpoint Gallery & Studios and Studio 4, Visual Arts. Together, they house more than 80 artists. Some of the things you’ll see include Julya Hajnoczky’s “at the last judgement we will all be trees” exhibit at Artpoint Gallery & Studios, which features miniature sculptures and large-scale photographic prints that feature objects from the Canadian forest. Calgary is home to one of Canada’s biggest film festivals, and it’s back this month from September 20th to October 1st. This year, the Calgary International Film Festival features 200 feature and short films that range from documentaries to Canadian cinema. Along with the film screenings, there will be an opening gala with a red carpet and live entertainment, a closing gala and an awards party. You can also get a sneak peek of the films that will be at this year’s festival at the free Trailer Party, held on September 8th at Globe Cinema. The National Music Centre first launched its Studio Bell After Hours event this past March. The 18+ event invites guests into Studio Bell in the evening (when it would normally be closed) to re-experience the five floors of exhibits along with special activities and music. Now, Studio Bell After Hours returns for the fall on September 22nd from 7 p.m. to 11 p.m., and it’s the first time the event has run this late. There will be live DJs, a VR game room where you can do things like 3D painting, a scavenger hunt and more. Don’t miss out on a performance by Juno Award-winning artist Braids in the Performance Hall as well. Make the most of the final days of summer by going cycling with EcoHub YYC. The bike rental and retail shop hybrid offers hourly bike rentals if you want, but you can also go on a guided bike tour that starts at the shop. There are three daily guided tours: an art tour that visits pieces of local public art, a history tour that visits inner city landmarks and a parks and picnics tour, which comes with a picnic lunch from Manuel Latruwe. On Friday and Saturday nights, you can also try the bike and brew tour, where you’ll visit three microbreweries and try their beer. If you loved the music in 2016’s La La Land, a musical starring Ryan Gosling and Emma Stone, you weren’t the only one. Of the six Academy Awards it won earlier this year, two of them were music-related (for its original score and the original song “City of Stars”). On September 22nd, you can re-experience the film’s musical mastery as the Calgary Philharmonic Orchestra plays the film’s score live while the movie is showed on a screen in Jack Singer Concert Hall. The tale of everyone’s favourite postulant-turned-nanny returns to a Calgary stage this month. Broadway Across Canada’s production of The Sound of Music takes us back to late 1930s Austria, just before World War II. As postulant Maria Rainer becomes the governess for the Von Trapp family, don’t be surprised if you find the musical’s most popular songs (“Do Re Mi,” “Sixteen Going on Seventeen” and “My Favourite Things”) getting stuck in your head for the rest of the week. Catch a performance at the Southern Alberta Jubilee Auditorium from September 26th to October 1st. Whether you want to stay fit or support a good cause (or both), there are tons of charity walks and runs taking place in Calgary this fall. In fact, there’s at least one run almost every weekend until the end of October. In September, race options include the Kidney March, the Terry Fox Run and Strides for Melanoma. Ever wonder what goes on behind the scenes of a local business, institution or facility? On September 23rd, you can find out. During Doors Open YYC, more than 40 places will let the public in to learn how they run, tour the space and/or do activities. This year, participants include The Alex Community Food Centre, Animal Services Centre, the Calgary Police Service’s Forensic Crime Scene Unit, Global Calgary and more. Tavernetta, one of the newest additions to Calgary’s dining scene, opened in Renfrew at the beginning of the summer. Between its classic Italian fare and cozy backyard patio, the restaurant already has plenty to recommend itself. But in August, they took things up a notch by debuting a bocce ball court along the north side of the restuarant, which comes complete with picnic tables and a bar. Be sure to squeeze in a game before or after you eat. Cupcakes, macarons, choux pastries, cake – you’ll be tempted to eat it all at 8 Cakes, a new dessert shop in Marda Loop. The 580-square-foot shop opened its doors at the end of August and makes small batches of French and North American desserts. You can also grab a cup of organic tea or fair trade coffee here. Marked by a black flag hanging outside, Shelter is a new cocktail and wine bar in the Beltline whose menu and decor is inspired by fallout shelters. 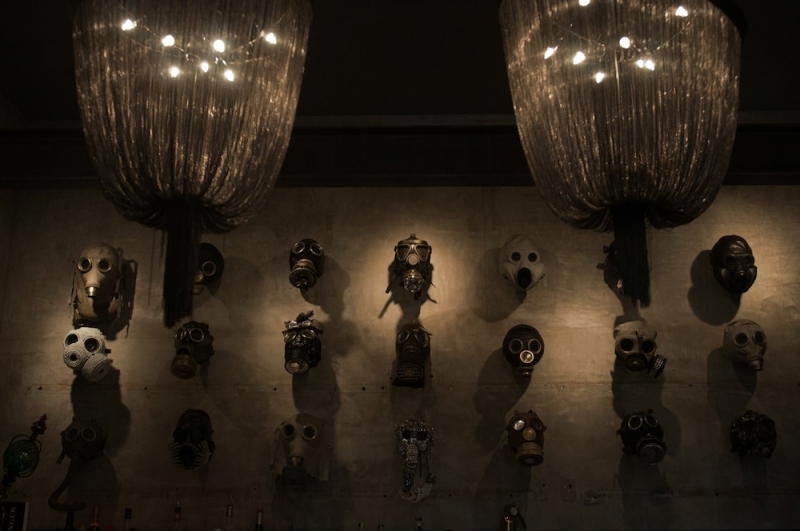 The approximately 1,200-square-foot space has a moody, upscale vibe thanks to a wall lined with gas masks, large chandeliers and a huge light fixture that has more than 5,000 individually hung light bulbs. The menu features dishes like panko and sesame crusted spam sliders, root chips and tzatziki, braised lotus root, pancetta beemster cups and more. Granary Road opened its Active Learning Park, complete with a chicken coop, wetlands aquarium and a giant ant-themed obstacle course, on July 7th. Now, the public market, The Loft Bakery and The Loft Kitchen are open from Thursday to Sunday as well. The public market features Gummi Boutique, Bin 905, Soffritto, Arctic Rolled Ice Cream, Luc’s European Meats and more. You can also pick up baked goods and Rebel Bean Coffee at The Loft Bakery or visit The Loft Kitchen for a fast-casual meal of slow roasted BBQ porcetta, salads, quiche, a grilled cheese sandwich and more. The upstairs Loft Lounge will be opening soon. This might be one of the coolest events you attend all summer. From September 27th to October 1st, make the 45-minute drive to High River for the Heritage Inn International Balloon Festival, where more than a dozen hot air balloons will gather for a four days of competition and glowing spectacle. There will be competition flights throughout the event as part of the Canadian National Hot Air Balloon Championship. Be sure to stop by on September 29th for Glow Night, when the balloons with be gathered in a field at Spitzee Elementary School, glowing in the dark night sky. Not only is it an amazing photo op, but you can check out the balloons up close and eat at local food trucks. Don your most stylish duds and check out one of Calgary’s biggest fashion events of the year. On September 30th, PARKLUXE is heading to Spruce Meadows to stage its 2017 fashion and art show. This year, featured designers include Paul Hardy, House of Nonie, Lauren Bagliore and more. The event runs from 7 to 11 p.m. and includes an opening reception, two runway shows and pop-ups. Proceeds from PARKLUXE will help support other PARK initiatives like PARKSHOW and PARKFORUM. Now in its seventh year, Alberta Printmakers’ Print It Yourself Festival offers an interactive, fun and educational look at the art of printmaking. On September 30th, guests can drop by AP’s studio between 11 a.m. and 4 p.m. to see printmaking processes firsthand. There will be stations for linocut, silk screening shirts and letterpress. The festival activities are free of charge.